Chilean-born art historian and curator Carmen C. Bambach is the recipient of the inaugural Vilcek Prize for Excellence. Created to honor immigrants who have had a profound impact on American society and world culture, she is an appropriate standard-bearer: Throughout her career, Carmen’s expertise in Renaissance art has reshaped how we understand works created half a millennium ago, while making it more accessible to the general public today. Her passion for Renaissance art goes back to childhood. As a young aspiring artist, Carmen would immerse herself in books on the topic, taken by its technical virtuosity, expressive power, and vivid portrayal of both anatomical details and psychological nuances. Her enthusiasm for learning continued through her undergraduate studies at Yale University, where she majored in architecture and art history. While conducting research for her senior thesis on the Sistine Chapel, Carmen discovered a drawing by Michelangelo, created in preparation for the Sistine Chapel, that had been labeled as an armpit. At that time, the Sistine Chapel was undertaking a 15-year restoration, and with support from her advisors, as well as Fabrizio Mancinelli, the Vatican official overseeing the restoration, Carmen was able to visit the Sistine Chapel to investigate her hypothesis. “I climbed on the scaffolding, held up the transparency, and it fit perfectly on the face of Haman,” Carmen says. The discovery was revolutionary, and laid the foundations for a career that would change the way scholars understood the usage of drawings in the complex technical process of creating panel paintings and frescoes during that period. Carmen persevered in the face of such resistance. Her parents had taken great risks to move the family abroad, and in the years prior to Pinochet’s revolution, they had witnessed the frightening rise of a dictatorship that severely curtailed many freedoms, including freedom of speech. In the years since, Carmen has been rewarded for that courage. 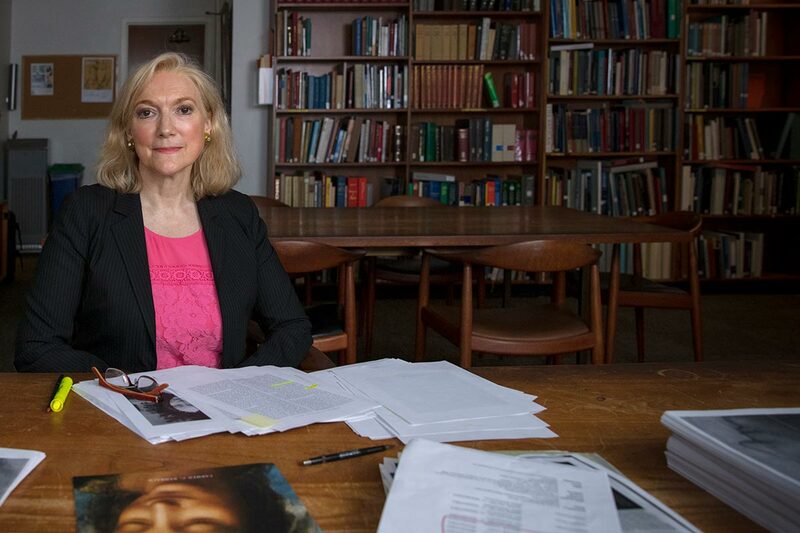 With the support of the Yale academic community, she continued studying the role of drawings in the creation of Renaissance art, completing both a master’s degree and PhD in art history there. 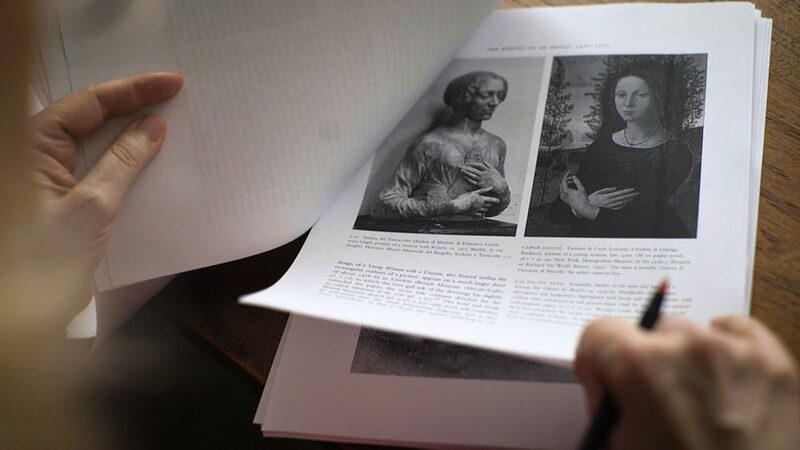 She published the results of her research as a textbook, Drawing and Painting in the Italian Renaissance Workshop (1999), which is now required reading for students of Renaissance art, and she has authored over 70 scholarly articles and several exhibition catalogues. 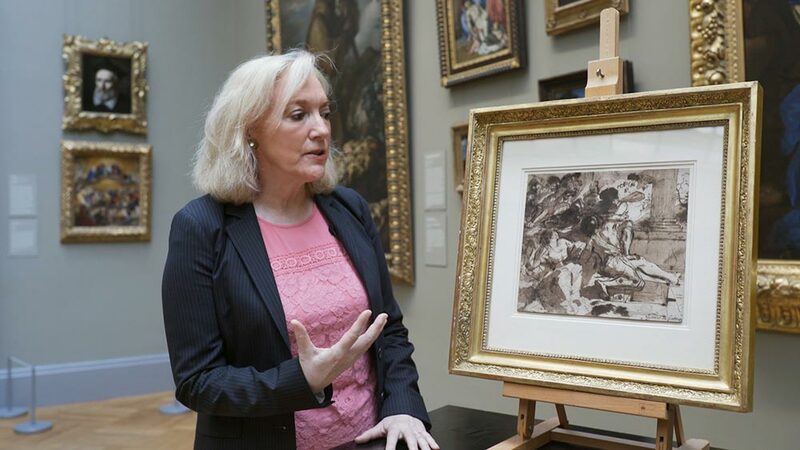 After earning her PhD, Carmen taught art history at Fordham University before joining the Metropolitan Museum of Art as a curator of Italian and Spanish drawings in 1995. There, she organized exhibitions on many Renaissance masters, including Bronzino, Correggio, Filippino Lippi, Parmigianino, and Raphael. The exhibitions she is most proud of, however, are Michelangelo: Divine Draftsman and Designer (2017–18), and Leonardo da Vinci: Master Draftsman (2003). They incorporate two goals that are important to her as a curator: examining art as the products of a specific personality and set of social circumstances, and making art more accessible to a wider public audience. Michelangelo, widely lauded as a blockbuster exhibition, is a stunning achievement of the latter. Curated to demonstrate the foundational role of drawing in the maestro’s work in a variety of media, the exhibition included 133 of Michelangelo’s drawings, shown alongside works in marble, an architectural model, and a painting. Drawings, due to their delicate nature, are rarely lent—and even more rarely travel abroad. “Asking for each drawing was like asking for the heir to the throne,” Carmen says. She worked on the exhibition for a decade, traveling extensively to arrange the loans, and the result was a once-in-a-lifetime opportunity, as most of the drawings will not be exhibited again for many years. 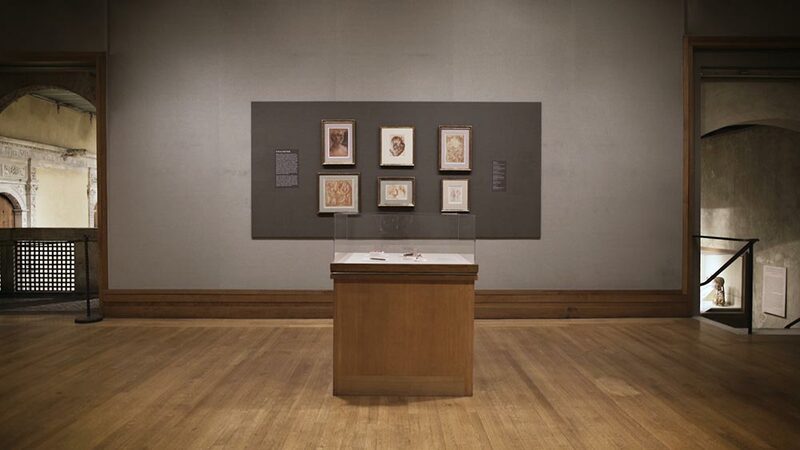 The 2003 exhibition on Leonardo da Vinci—“My other love,” Carmen calls him—provided a portrait of the artist through his drawings, preparatory sketches, scientific notations, and presentation drawings of his masterpieces. It also highlighted the various biographical influences that impacted da Vinci’s work, such as being self-taught, left-handed, and born to unwed parents. 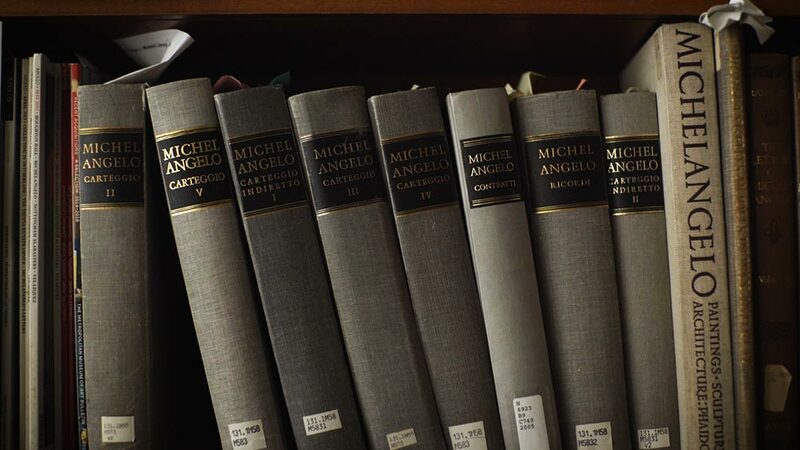 The research for that exhibition formed the basis for Leonardo da Vinci Rediscovered, Carmen’s four-volume monograph that will be published through Yale University Press this summer. Commemorating the 500th anniversary of his death, the monograph is a modern rethinking of the career and vision of da Vinci, the result of a painstaking study of over 4,000 sheets of notes and 1,500 drawings that has uncovered new narratives and insights about his life. “I’ve been dedicated to writing this book since 1995,” Carmen says. “It feels like a child who has gone to college and grad school.” It is indicative of the meticulous yet original scholarship that has earned Carmen numerous honors, including a Guggenheim Fellowship and membership in the American Academy of Arts and Science and the Villa I Tatti, the Harvard University Center for Italian Renaissance. But most of all, it is exemplary of the way that Carmen has single-handedly revolutionized a field of study, proving that intellectual courage—combined with a touch of weirdness—can turn centuries of accepted thought on its head. Sign up to receive email updates on new announcements, programs, exhibitions, and more.